David is an important advisor to the firm as it relates to all of Altera’s projects. During his tenure at Centex Corporation as Vice Chairman of the Board, David created Centex Development Corporation, which was responsible for over $1 billion in assets and over $500 million in ground up development. He also served as president of a $300M private development company and was a partner at Arthur Andersen. 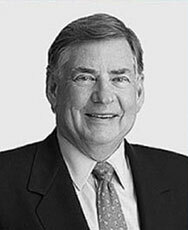 In addition, David spent 20 years on the board for Zale Lipshy Hospital in Dallas, serving as its Chairman of the Board during the critical transitional timeframe when Zale Lipshy formally merged with University of Texas Southwestern Medical School. David remains on the Board at the University of Texas Southwestern Regional Medical School and Eagle Materials. David brings a strong background of innovative development and operating management to the table, with significant knowledge of hospital operations and physician relationships. Jim Watkins brings an energetic work ethic and a high level of integrity to every project he undertakes. Jim is expert in all project phases, from concept development and negotiation to facility completion, with over 40 completed projects totaling 1.8 million square feet. 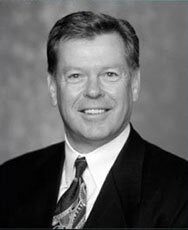 Prior to joining Altera, Jim served as VP of Real Estate Development for Triad Hospitals, where he was responsible for acquisitions, dispositions and medical office building development across the country. His unique experience in implementing successful physician recruiting strategies creates tremendous added value for our clients. 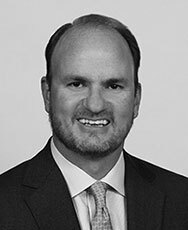 Greg Langston has been key advisor to Altera since its inception, bringing his broad expertise in commercial real estate including financial analysis, build to suits, building sales/ dispositions, land acquisitions and equity origination. Greg currently serves as Managing Director and Principal at Avison Young, with a focus on representing his corporate clients. He was a founding member of Dillon Corporate Services, Inc., with offices in Dallas, Fort Worth and Birmingham. Greg’s professional credentials includes Certified Commercial Investment Member (CCIM) designation from the Commercial Investment Real Estate Institute of Chicago. Greg is also an active member in the North Texas Commercial Association of Realtors (NTCAR) and serves on the College of Arts & Sciences Leadership Board and Alumni Council at the University of Alabama.